Well, this is just a quick update that I’ve been meaning to write for awhile now. Another article is out! It’s actually mostly just two posts from this blog a little modified but still fun to see my writing in a nicer format. Check it out in Airscape Magazine online. Here’s the website: airscapemag.com and then follow the directions to download the third edition. I love how it looks! Pretty excited to have written for Airscape, Aviatrix Aerogram, and a blurb in AOPA’s Flight Training Magazine, hope to continue expanding that list! Still chugging away at the dispatcher course, almost a month left before I go to Cincinnati to finish it up! I’m looking to take the ADX written within a few weeks. And fingers crossed I have a flight next week. I finally got to take my best friend up flying this past Saturday. Took me long enough, right? The weather was just not letting us go up whenever we planned a flight. Even Saturday, we both thought there’d be no chance of going up since thunderstorms were forecasted the entire week. At 11:30am though the skies became VFR and we rushed to the airport (a little late for the 12pm I had us scheduled). The brief also advised not to go past East Hampton since it still looked IFR by Groton and Montauk (where I wanted to go) was just an unknown. I listened to him and we only went to East Hampton. We arrived at the airport a little before 1pm. I need to grab key to a new plane (a new 152 I hadn’t flown yet, but just got all the same avionics as the other) and a headset for my friend from someone at the school. My school is moving offices and I thought I was at the right office, knocked and no answer. I texted my CFI to check if it was the right place and walked around the airport and to our hangar just to see if anyone was around. Nope. My CFI texted back saying I was in the right place and asked if I had the guy’s phone number, which I didn’t. He ended up calling the guy for me to find out he went up in a helicopter and forgot about me stopping by. My CFI was nice enough to drive over to open the office and give me a key and a headset. We were now delayed about 45 minutes. Just enough time to fly there and back without stopping. That was fine, I just mainly wanted to fly my friend around Long Island. Got it all started up and was excited to be flying a new plane for me. Another N number in the logbook! But we had to find me blankets to sit on because these seats didn’t pull up. 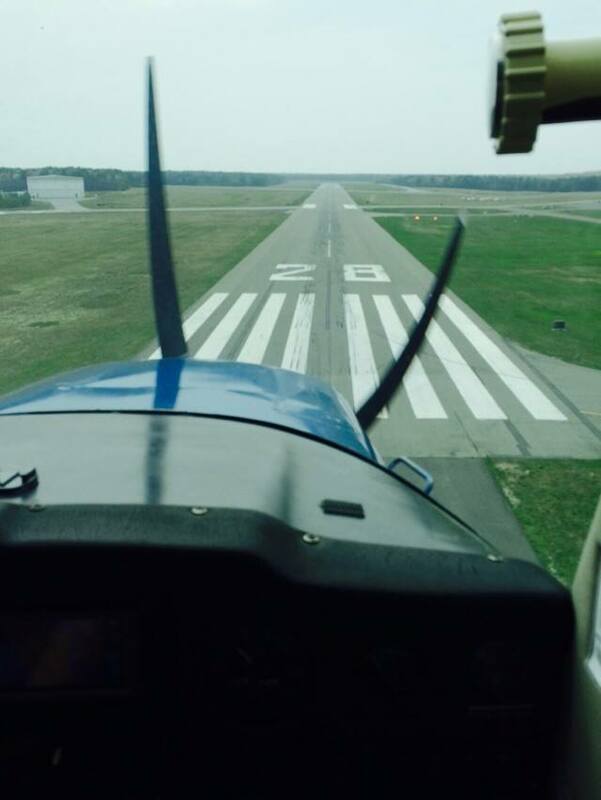 Once I taxied to runway 19 I was cleared for take off. I turned to my friend and asked “Are you ready?” she was. Took off and headed to the southern coast. I couldn’t get flight following, but I thought it was okay to go without it since I had flown to this airport before, but I would have preferred to have it. I showed her things along the coast and she was taking tons of pictures enjoying it. It was so smooth up there and I was glad for her sake it was. We couldn’t see the city, but you could see across Long Island. I get up near East Hampton, it’s one of those weird airports that has a tower for a few months a year. I went to the CTAF, no one was talking, I called to see if there was a controller, no response. I just wasn’t sure. I did just say, oh well, let’s turn around and go back to Republic along the north coast. Soon as we turned a Citation jet came on the CTAF, self announcing. I said, okay let’s land so this can count for me! And I self-announced behind the Citation though they landed before I was even in the pattern. I got a pretty nice landing in for her. We taxied back to the runway to take off again, the pattern was getting busier. An airplane took off in front of us, a helicopter was landing near us, my friend was pretty excited to see the helicopter so close. I took off and headed north. I did text my CFI saying we had a pretty bad headwind and due to the lateness of departure I would be like 15 minutes late getting back (there was someone right after me, I felt bad about that) he said it was no problem and would give them the heads up. Now, I’m going to be careful what I say about this next part of the flight and sorry for the vagueness, I am just being careful what I say on the Internet about this. It got dark pretty quickly. Everything happened very quickly. Even though I was scared, I had to act like PIC for my passenger. 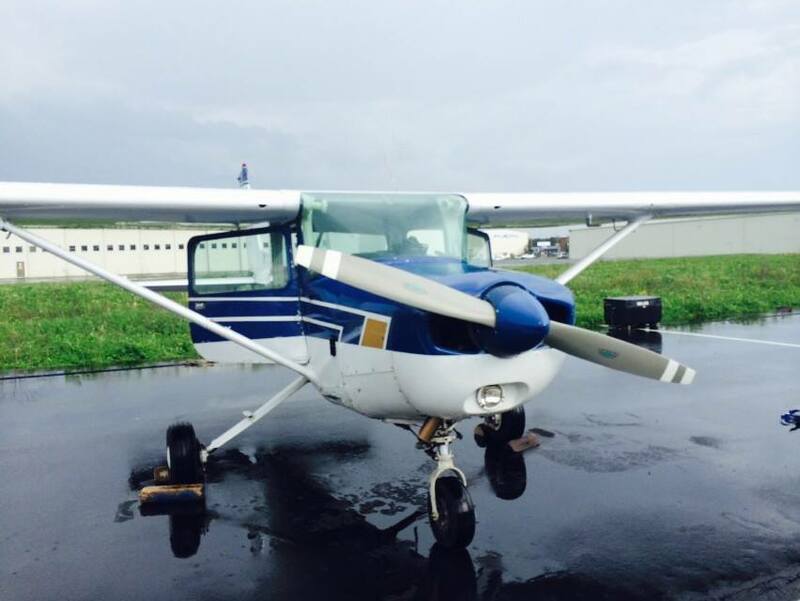 I was the only pilot in the airplane and that weighed on me. I may not have handled it as other pilots would, but I called ATC right away and they helped me tremendously. I cannot be thankful enough for them. It was even the controller I’ve spoken of in the past of not being too fond of, that’s not true anymore! I love her. When I saw the airport I was so happy and just wanted to get down. My landing wasn’t too good. I was high, but I didn’t really care. The controller let me taxi down the runway to the end, as I was turning off I thanked her for about the 5th time and saying how much I appreciate her. She said I did a good job. We got back, turned off the airplane and got it ready. Shockingly the next people were still going up, I apologized for being late because now it was like 30 minutes late. I called my CFI afterwards to debrief and he was proud of me but could kill the guy who made us late and avoided this situation. I was just glad to be on the ground. Big lessons learned from this flight. My friend and I went to Chili’s afterwards and took advantage of their all day happy hour. Sidenote: I had a dilemma – aviatrixes or aviatrices – Merriam Webser said both were correct FYI. There have been many pilots who have been important to me and becoming the pilot (and person!) I am so far. My CFI, John, Lynda from GWW, Larry who is flight lead for the Geico Skytypers, Greg Brown because of his awesome group, Lindsay and her blog, my other GWW friends Caylee, and Amber, and many more! Two female pilots really stick out to me and really inspire me though: Global Girl (ex-Gulfstream Girl, i.e. Nadia Marcinko) and Amelia Rose Earhart. These two women know how to publicize themselves, and I wish I could harness that power like them and do good with it and amazing things like them. Nadia was actually my first CFI for two lessons, while that didn’t work out, I still look up to her and think she does incredible things. Gulfstreams are AMAZING, but she seems to fly a Phenom now, which is still pretty darn cool. But I love that she goes to all these aviation events, other girls in science events, and cool new technology things. The downside to her I think is that while her goal is to get more girls interested in aviation, it seems mostly men follow her and comment on her posts. Oh well. 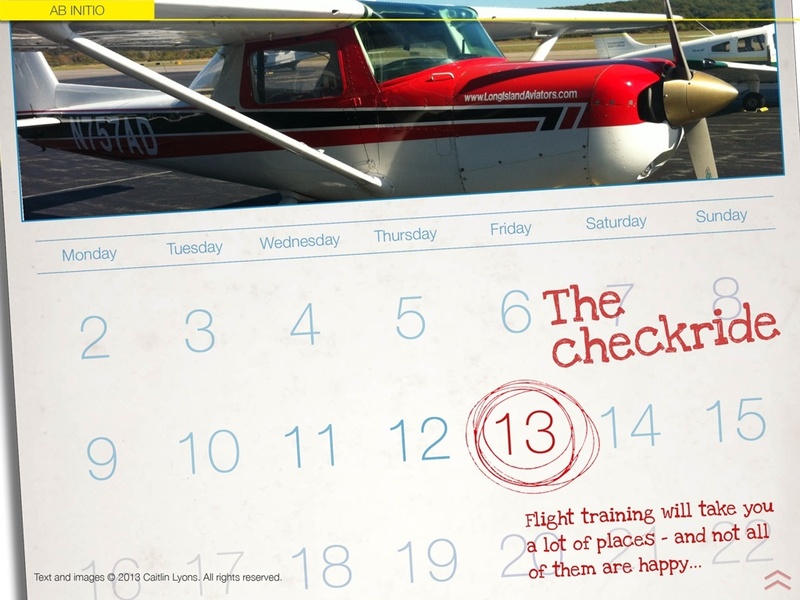 Her page did help inspire me to actually take action on my flight training, so it does work for some girls! Amelia Rose Earhart is fascinating to me now. I LOVE that she started Fly With Amelia Foundation and wish I could do the same thing, but never know where to get started! Also her upcoming flight around the world, you can bet I’ll be keeping a close eye on that! Again, it’s so inspiring and I wish I could do things like that, just have no clue where to start. I have the ideas, but putting those ideas into action is where I start struggling. These women though inspire and push me to reach higher. I may not know where to start, but I have the drive and will figure something out. I think that’s important in aviation, to have someone to inspire you to push further than you thought you could (safely, of course!). The Golden Age of Aviation was all about that in the 20s and 30s, why shouldn’t it still be about that? Who are your aviation inspirations?